centenario roadster! — Daniel In L.A.
Well that's all of them! Yes, all 40 Lamborghini Centenarios (20 coupes + 20 roadsters) have been delivered to their rightful owners all across the world. What a pleasure it was to see the final roadster be delivered to one of the most enthusiastic owners around in Orange County, California! There isn't anything quite this loud design-wise that roams the street and commands a presence like the Centenario. The coupe variants are wonderful to say the least, and the roadster does NOT have a removable roof that can be taken on and off at the owner's discretion. Yes, this is a full-time roadster, so it needs to be ideal outside in order to truly enjoy it without the elements affecting the interior! The Lamborghini Urus was also on display as it makes the rounds all across the U.S. in preparation for deliveries expected to begin towards the end of the year. 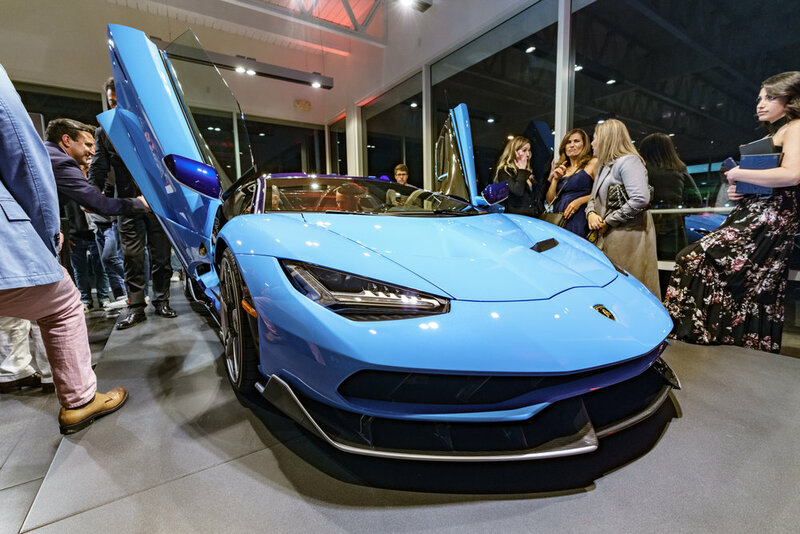 Plenty of spectators and guests were on hand at Lamborghini Newport Beach enjoying themselves! Cheers to Lamborghini for continuing to always make bespoke cars that enter collections with plenty of promise and future value!